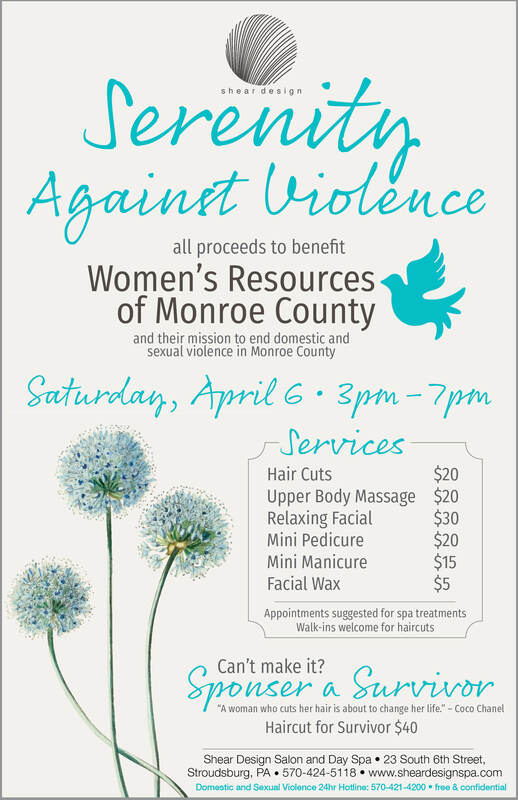 Shear Design Salon and Day Spa is holding another Serenity Against Violence Spa Day benefiting Women’s Resources! Come out to Shear Design Salon and Spa on April 6th from 3-7pm – appointments suggested for spa treatments, walk-in’s welcome for haircuts. All proceeds go to support services for victims of domestic and sexual violence. Also new this year, if you can’t make it or want to do more to support survivors in this area, you can Sponsor A Survivor Haircut for $40 – talk to the professionals at Shear Design about how this works.